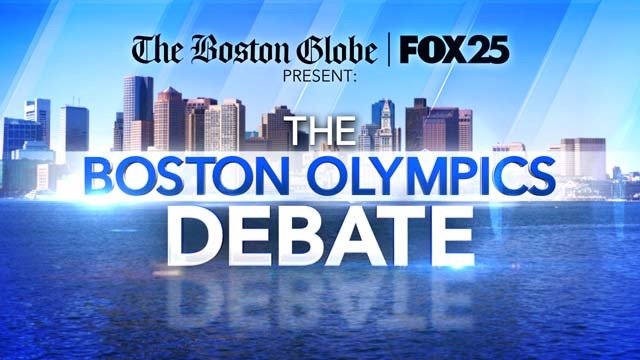 For the first time, Boston 2024 opposition group No Boston Olympics will have a chance to face the Olympic bid team on live television. A live televised debate has been scheduled for next Thursday, July 23 at 8:00 PM on the local FOX TV affiliate and will be live-streamed on myfoxboston.com and bostonglobe.com. 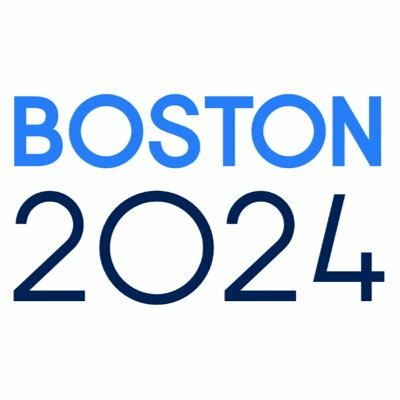 According to FOX, Boston 2024 chairman Steve Pagliuca, and Daniel Doctoroff, a Boston 2024 board member will represent Boston 2024. Chris Dempsey, the co-chair of No Boston Olympics, will represent the opposition, along with Andrew Zimbalist, an economist and author of Circus Maximus: The Economic Gamble Behind Hosting the Olympics and the World Cup. Since being nominated by the United States Olympic Committee (USOC) to bid for the Olympics ahead of Los Angeles, Washington and San Francisco earlier this year – Boston has struggled with low public support and loud opposition. With public support constantly under 50 per cent, the bid will be subject to a binding state-wide referendum in November 2016 if the USOC chooses to confirm the nomination before the September 15 International Olympic Committee (IOC) deadline. While the USOC leadership claim they solidly back Boston 2024, they’ve also admitted that there is still room to make changes. The USOC and Boston 2024 met Thursday to discuss Bid 2.0 including a meeting with Mayor Walsh and Governor Baker. “We’re grateful for the USOC’s continued partnership, full support and active participation,” said Steve Pagliuca, chairman, Boston 2024 Partnership. “Today we reviewed the progress that Boston 2024 has made over the course of the last two weeks and confirmed that the Brattle Group is working diligently on its assessment of the financial viability of the new bid plan,” said USOC CEO Scott Blackmun. No Boston Olympics co-chair Chris Dempsey and his team have waged an epic “David and Goliath” battle on a shoestring budget claiming that the Olympic bid committee is making unrealistic promises it can’t keep. Ultimately, they believe, Boston taxpayers will be on the hook for cost over-runs. With the effective use of social media and compelling sound bites, No Boston Olympics have gained a strong foothold and rallied many Bostonians around its cause. The televised debate should result in interesting television, but more importantly could help shape public opinion and determine the viability of the bid moving forward. If Boston’s bid survives the summer it will be competing against an increasingly competitive pool of contenders including Rome, Paris, Hamburg, Budapest and possibly Baku or Toronto. The IOC will elect a winner in 2017.